1/5 American recycling e-waste is exported to developing countries _ PCB recycling machine,cable wire recycling machine,E-waste recycling plant,precious metal refining machine system,E-waste shredder,plastic and metal recycling production line,copper electrolysis system-Zhengzhou Zhengyang Machinery Equipment Co.,Ltd. 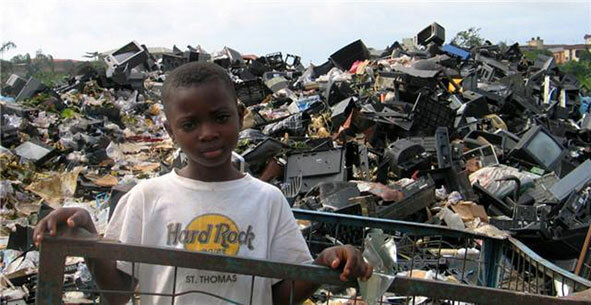 E-waste watchdog Basel Action Network, in collaboration with MIT in the old electronic products installed GPS tracking device to track their whereabouts, found that 40% of e-waste is exported to Hong Kong, mainland China and other Asian developing countries, rather than in the domestic recycle. Most old electronics recycling to the cost of raw material is far less than its recovery and recycling industry by local tax paying or legal mandatory requirements in advance to pay the cost of recycling and manufacturers have offset. However, the survey found that the recycling industry through false recovery profitable, it is through an intermediary or directly to the electronic waste exports to developing countries. The law requires the recycle machine, but few for recycling process supervision and law enforcement. As a result, foreign dump employs low salary employees from toxic machine pick out valuable cost, and the rest of the poisonous material usually dump to a nearby rubbish dump.